CombinateFieldValues_B()1 is one of the several table functions in finaquant® protos (free .net library) which can be used for generating test tables including any number of independent attributes. 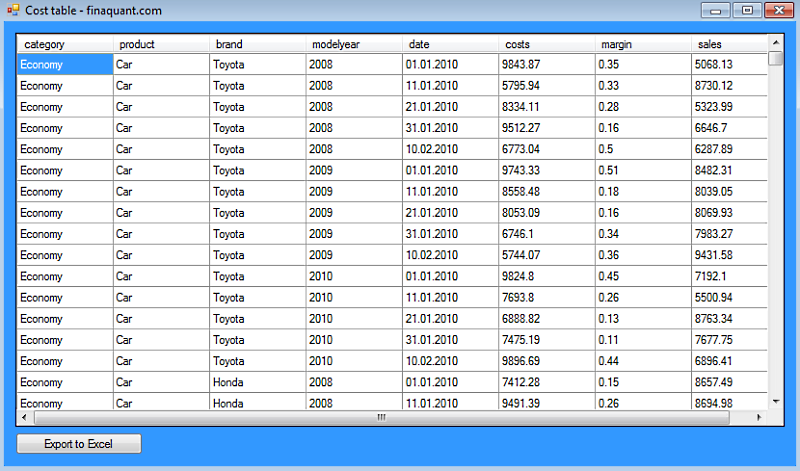 Following example shows how a test table (CostTable) with five independent attributes (category, product, brand, modelyear, date) and three random-valued key figures (costs, margin, sales) can be created in six steps. Unrounded key figures look a bit ugly; let’s round them.